The other night was awake again like I usually am since I have been pregnant and I found a really cute tutorial at Ruffles & Stuff. I decided to make them for Christmas Presents and today I felt like making them. I used the same measurements that were shown on this fabulous blog I can show you what I did but if you are looking for a great tutorial then go here. Ruffles & Stuff. There now nobody can say I don't give credit where credit is due. 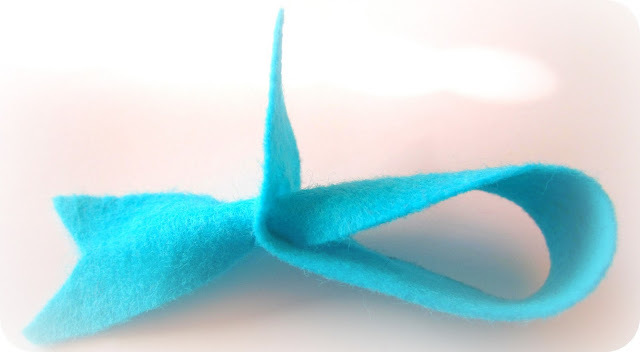 I cut a strip a long piece of felt and cut a small v in one side and slid the other side halfway through. 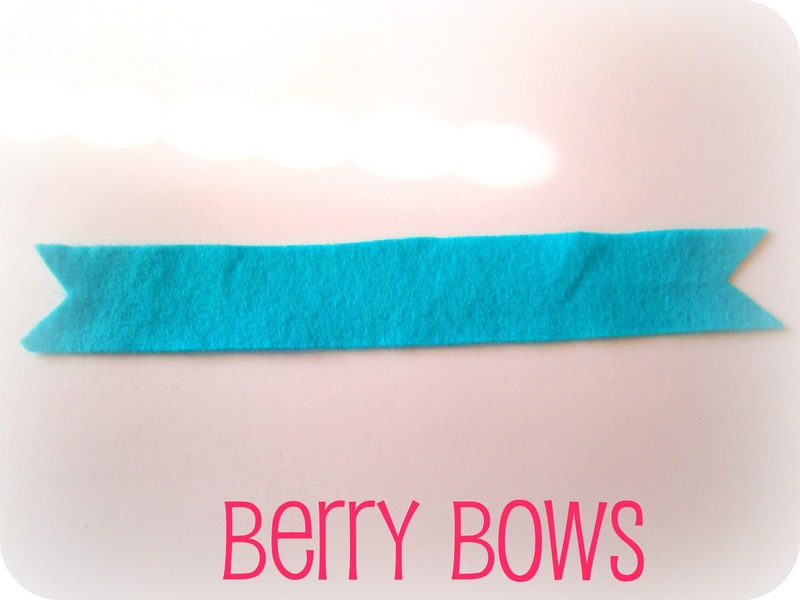 cut a little strip and glue it around the middle and voila you have a cute little bow. Embellish it with beads,sequins or little fabric strawberries like I did. You can glue them on little clips that you cover in ribbon first or you can slide a bobby pin through it. I will making quite a few of these with different fabric and beads. These are so adorable. 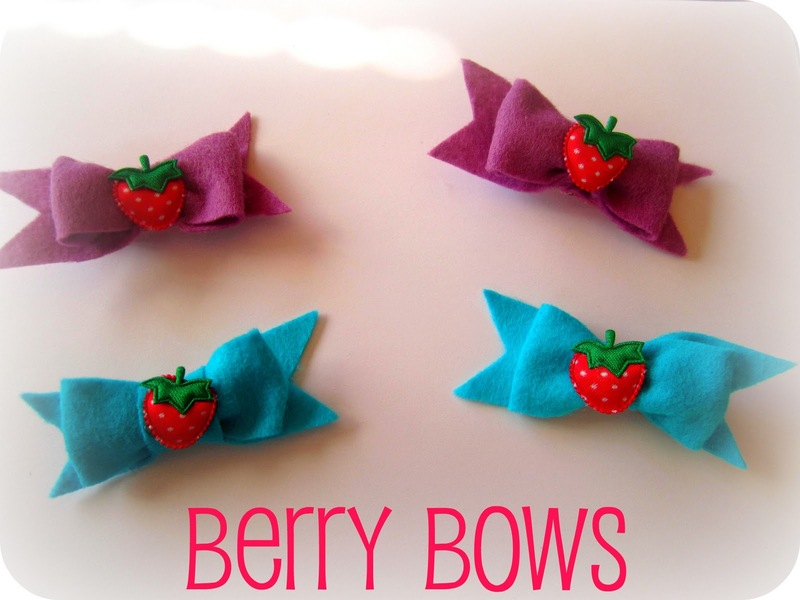 I love making little felt bows and now you have given me so many great ideas. You are being featured on my facebook page today. Thanks for sharing at Lines Across My Face.